Your friend is getting married?!?!? LUCKY YOU. You get to host a bridal shower now! 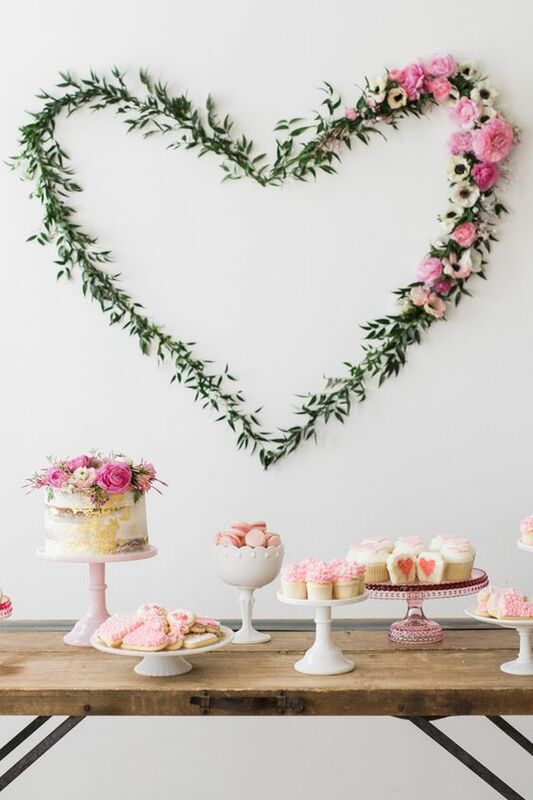 Figuring out and planning a bridal shower is fun for those of us who are super girly and love LOVE. I love LOVE, so anytime I have the opportunity to host something like a bridal shower for a loved one I get very excited. Just think all the girly things, all the bridal shower decor, bridal shower games, and bridal shower gifts! How could you not have fun planning a bridal shower? 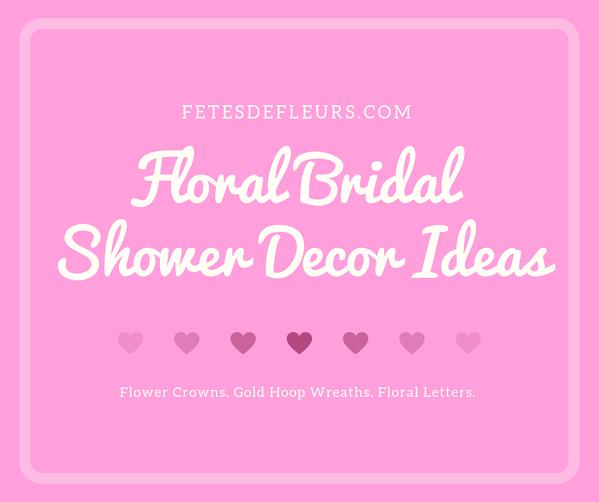 Since we are a flower party business we thought it would make sense for us to list out our favorite floral bridal shower decor ideas keeping with a floral theme. So ladies, if you are planning a bridal shower and have a floral theme bridal shower we have you covered. 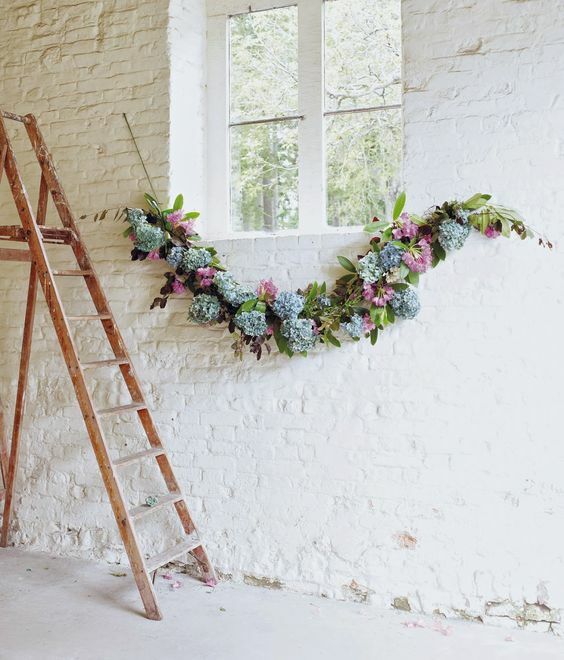 We love garland in general but an easy way to spruce up a bridal shower is with some beautiful floral garland. You can use flower garland on the tables of the bridal shower. We love using flowers in the garland including baby's breath garland and other fun florals keeping in line with your color theme for the bridal shower. Drapped on tables for pretty floral tablescapes. Drapped over signs when people walk in. Drapped on the walls as a pretty place to take photos at the bridal shower. 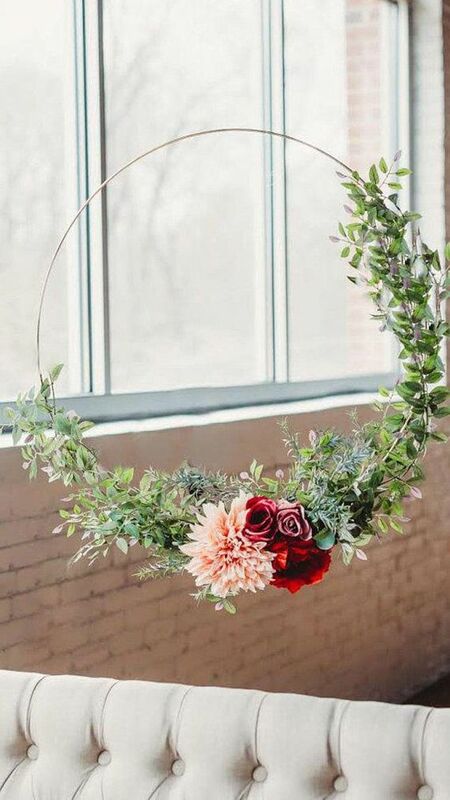 I love love love the idea of a garland on the wall made into a heart shape or a ring shape! We can create custom floral letters for your bridal shower made with the most beautiful silk or real flowers. If you want certain colors in your flower letters or want certain flowers we can customize the floral letters the way you want them to be made. This is a super special gift that you could use as a bridal shower gift for the bride to be too. Use the bride-to-be's new last name of her hubby-to-be and this would end up being a cute gift for the bride on her bridal shower. Anything that doubles up as a bridal shower gift as well as bridal shower decor is a great idea in our books. We can create any custom flower wall that your heart desires. 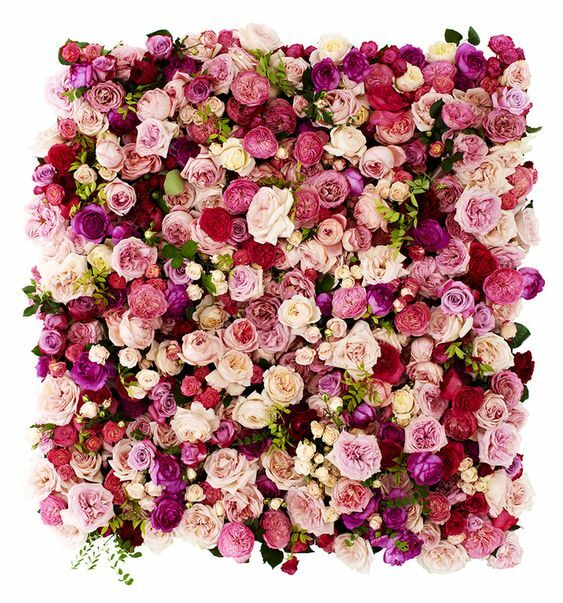 Yes, these can get a little pricey but you could use the flower wall again at your wedding too for a photo booth backdrop. This could be a great present from the bridesmaids or friends if you go in on it together. 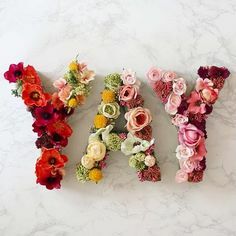 We can also do scaled down versions or smaller panels of flower walls so you can hang them on the wall someone at your bridal shower to take photos in front of. Have the bride sit in front of the floral wall while she opens her presents from her bridal shower too. Everyone wants flower arrangements at a bridal shower. Regardless of the bridal shower theme you will want to have some arrangements at your bridal shower for the tables. We can create big floral arrangements for you to use and have next to the bride to be while she is opening presents or for when the guests walk into the bridal shower. If you want smaller arrangements for the tables we can do that too. Just reach out to your local flower party host and we can tell you about the options you have for bridal showers. 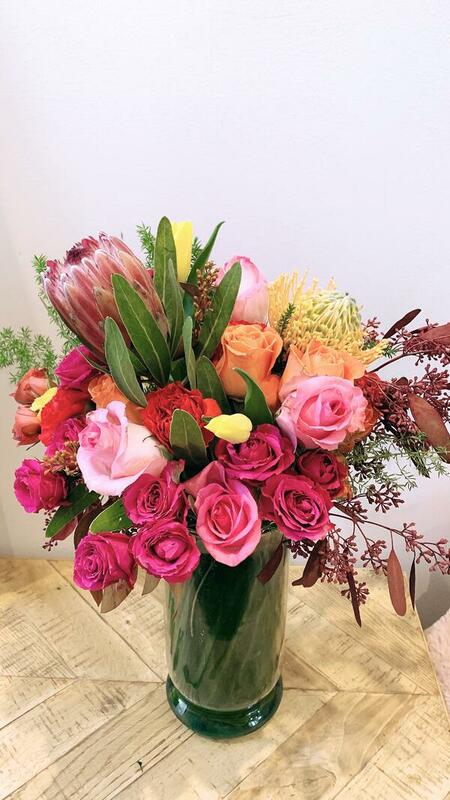 If there are certain colors you want us to use for arrangements we can do that too! Or if you like or hate certain flowers just let us know and we can work with your group to plan the flowers for your bridal shower. 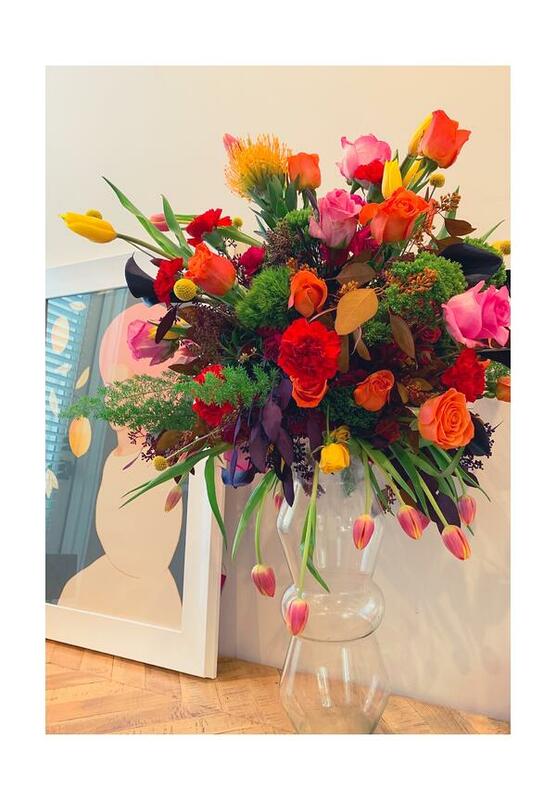 If you are looking for a fun floral activity at your bridal shower we could do our flower arranging workshop as part of the bridal shower fun. Then all the guests can walk away with a small floral arrangement from the bridal shower as a bridal shower gift. We can deliver flower crowns to be setup at a flower crown bar for guests to take and wear around the bridal shower. 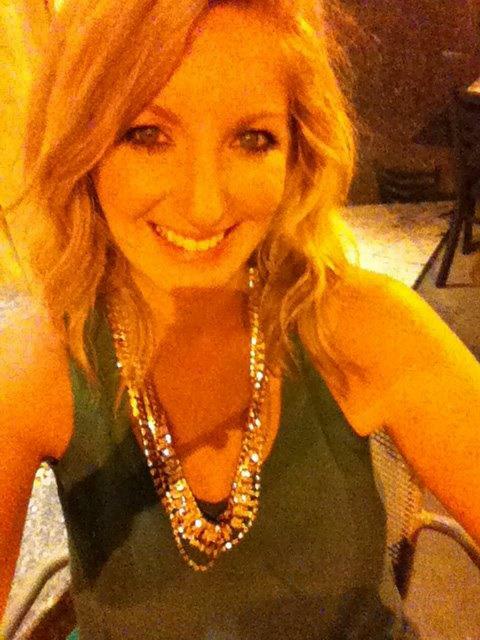 Or we can come to your venue and do a flower crown workshop for your bridal shower group. This is a great bridal shower activity to give your guests a fun thing to do while they are at your bridal shower. This also allows your ladies at your bridal shower to come away having learned how to make flower crowns and they will also have a bridal shower gift. 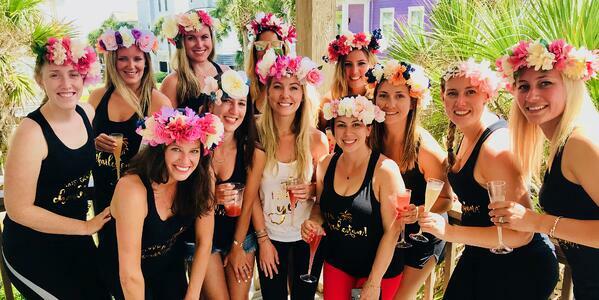 If you do end up doing flower crowns as part of your bridal shower consider doing silk flowers so you can have your bridesmaids wear the flower crowns for the wedding too! Or if you do real flowers for the flower crown making then you could always use your new floral skills to make flower crowns for the wedding! If you are trying to figure out a fun take away gift for your girls on your bridal shower why not give them something they will actually like and wear again! 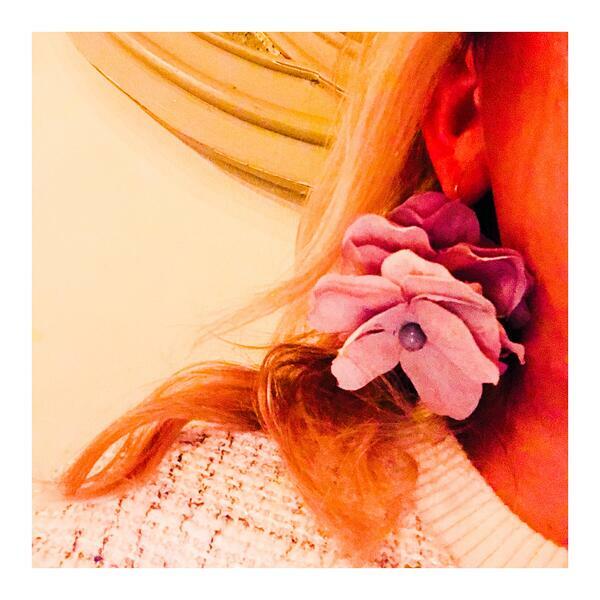 Give them floral earrings from us. We can custom make any color flower earrings for your bridal shower gifts as well as a pair of white flower earrings for the bride to be to wear on her bridal shower day. If you are looking for more floral decor for your bridal shower then you should consider the gold hoop wreath. Gold hoop wreaths could be used again if you had them made with silk flowers and silk greenery. A lot of these options we listed here for bridal shower decor can be used again for other celebrations along your wedding journey. You could use gold hoop wreaths at your wedding for a photo booth backdrop too or even as decor at your wedding. We are excited to help you host the most floral fun bridal shower there ever will be. If you are a girly group of girls celebrating a girly bride to be she will no doubt love all of these floral bridal shower themes and bridal shower gifts. 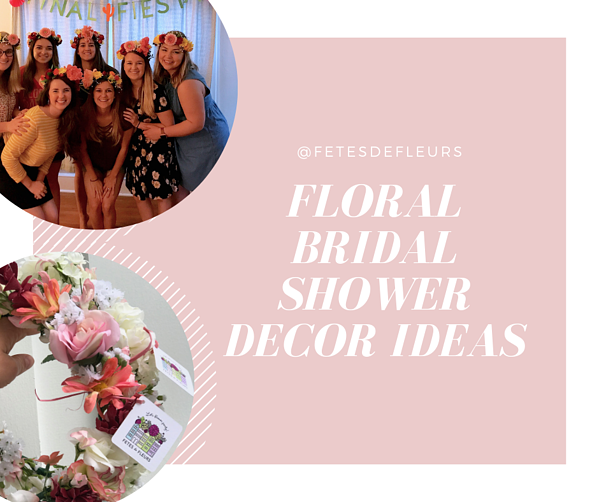 Just reach out to us at ali@fetesdefleurs.com for more information on our bridal shower packages to help you with your florals.